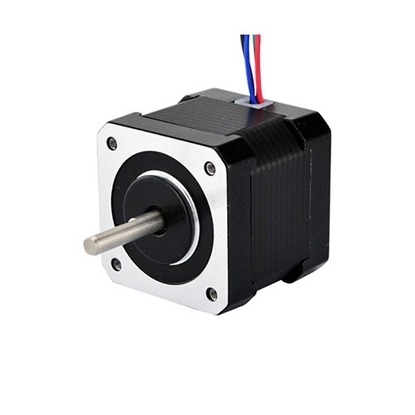 2.8V, 1.33A, 30 oz-in NEMA 17 stepper motor, 4 wires bipolar stepper motor with 1.8 degree step angle, produce a maximum torque of 2.2 kg-cm, brand new direct sale by manufacturer. Low price and high quality Nema 23 bipolar stepper motor, phase current 2A and resistance 1Ω, 0.5Nm holding torque, 1.8 deg. 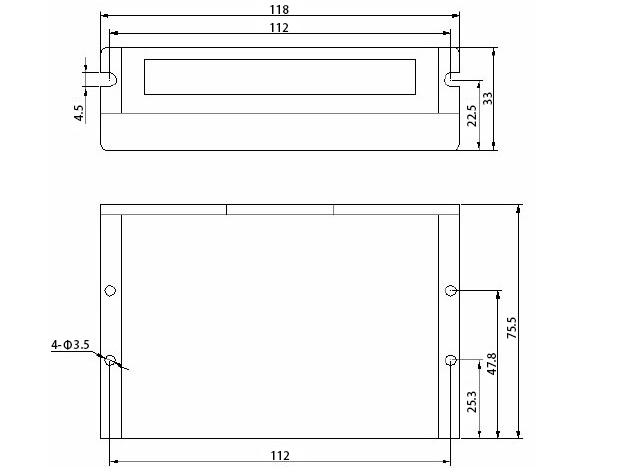 step angle (200 steps/rev), body in 41mm, manufacturer direct sale. Nema 23 stepper motor with 0.9Nm holding torque, 1.8 deg. step angle(200 steps/revolution), high quality and manufacturer direct sale. 2-phase digital stepper driver, 20-50V DC, 1-4.2A for Nema 17, 23 2 phase stepper motor, manufacturer direct sale. Low motor vibration, low noise, no loss of step. Optical isolation, difference signal input. 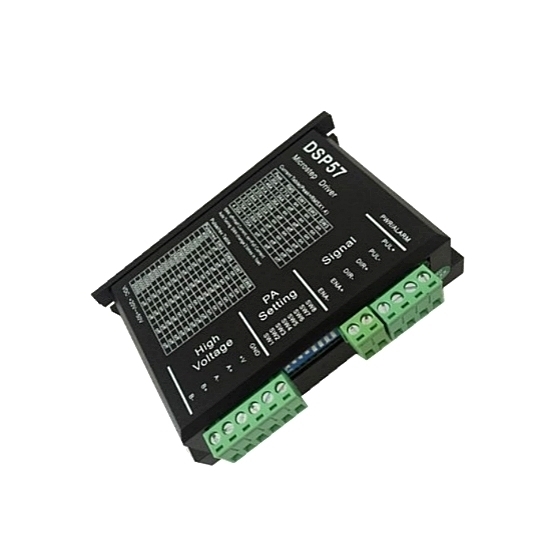 Offer 12-24v control signal interface. Fast response, no delay and zero setting time. Much lower cost than traditional servo systems. Major advantages of subdivided driver: Low frequency oscillation of motor is completely eliminated. Low frequency oscillation is the intrinsic characteristic of the stepper motor (especially VR motor). However, subdivision is the only way to eliminate it. If your stepper motor has to work at resonance region (e.g. 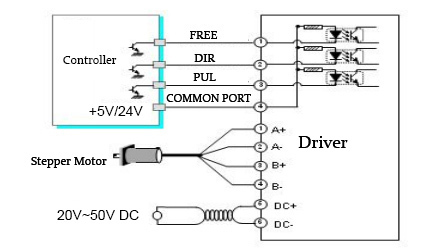 : run arc) sometimes, it is the only choice to choose subdivided driver to increase the output torque of the motor. Especially for 3-phse VR motor, its torque is increased by about 30-40% when not subdivided. Thus, the resolution of the motor is increased. With the stepping angle reduced and uniformity of the step pitch increased, the resolution of the motor is self-evident. The main role of stepper motor driver’s subdivision is to enhance the accuracy of the stepper motor. 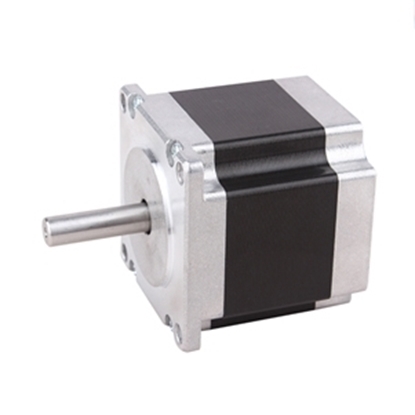 This is high quality Nema 23 stepper motor with 1.8 deg. step angle(200 steps/rev). Each phase draws current 2A, allowing for a holding torque of 0.72Nm. Motor type is Hybrid Stepper Motor. Direct sales by manufacturer.